In our view, the real reason the peace process hasn’t succeeded in producing real peace is not that Israeli settlements keep Palestinians away from the table. However, pretty much everything else that Areikat writes in his relatively short article illustrates in my view why it is unfortunately unlikely that this conflict will be resolved any time soon. The problem with this call to imagine a bright future for Palestine is that whatever the constraints imposed by the Israeli occupation, Areikat’s article illustrates all too well that the Palestinians are in no way ready to give up one all-defining and entirely self-imposed constraint: the idea that their identity centers in one way or another on being the long-suffering victim of a cruel and militaristic Israel which stands against everything that is good and right – and the implication is inevitably that everyone who is as good and right as the Palestinians must stand against Israel. Accordingly, the delegation’s website currently features – in addition to what is described as “Op-Ed by Ambassador Areikat” – two statements about the anniversary of the 1967 “naksa” (i.e. the setback of Israel’s victory) and the 1948 “nakba” (i.e. the catastrophe of Israel’s establishment), supplemented by a report on a BBC poll that shows Israel as ranking third among nations perceived as having a negative influence on the world; additional offerings include monthly reports monitoring supposed Israeli incitement. While Areikat wants his readers to imagine Palestine on the basis of this glowing picture, the glow quickly fades when the pathos-laden narrative is replaced by historical facts. Just a few years later, in the framework of the Oslo process of the 1990’s, Jericho was, together with Gaza, designated to come under the administration of the newly established Palestinian Authority (PA) – indeed, the relevant agreement of April 1994 is also known as the “Gaza and Jericho First”-agreement, and it was in Jericho that Arafat was sworn in as head of the PA. Jericho is now one of the 16 administrative districts ruled by the PA.
“At the inception of the occupation, conditions in the territories were quite dire. Life expectancy was low; malnutrition, infectious diseases, and child mortality were rife; and the level of education was very poor. Prior to the 1967 war, fewer than 60 percent of all male adults had been employed, with unemployment among refugees running as high as 83 percent. Within a brief period after the war, Israeli occupation had led to dramatic improvements in general well-being, placing the population of the territories ahead of most of their Arab neighbors. In the economic sphere, most of this progress was the result of access to the far larger and more advanced Israeli economy: the number of Palestinians working in Israel rose from zero in 1967 to 66,000 in 1975 and 109,000 by 1986, accounting for 35 percent of the employed population of the West Bank and 45 percent in Gaza. Close to 2,000 industrial plants, employing almost half of the work force, were established in the territories under Israeli rule. During the 1970’s, the West Bank and Gaza constituted the fourth fastest-growing economy in the world — ahead of such “wonders” as Singapore, Hong Kong, and Korea, and substantially ahead of Israel itself. Although GNP per capita grew somewhat more slowly, the rate was still high by international standards, with per-capita GNP expanding tenfold between 1968 and 1991 from $165 to $1,715 (compared with Jordan’s $1,050, Egypt’s $600, Turkey’s $1,630, and Tunisia’s $1,440). By 1999, Palestinian per-capita income was nearly double Syria’s, more than four times Yemen’s, and 10 percent higher than Jordan’s (one of the better off Arab states). Only the oil-rich Gulf states and Lebanon were more affluent. While it would probably be too much to expect Areikat or any other Palestinian official to acknowledge the facts listed by Karsh, the apparent Palestinian determination to demonize Israel can only cast a shadow on how we imagine the Palestinian state. What will happen with all the hatred against Israel that Palestinian officials like Areikat stoke even when they try to conjure a future Palestinian state in the brightest colors? Palestinian officials don’t really have an answer to this, and that is arguably one reason why so far no Palestinian leader has been willing to accept the offers of statehood presented to the Palestinians at several occasions: anyone seen as responsible for negotiating a compromise with Israel has to fear for his life. The question of who should qualify as a Palestinian refugee has recently received renewed attention due to an initiative by US Senator Mark Kirk (R-Illinois) that will require the State Department to report how many of the roughly five million Palestinians serviced by the United Nations Relief and Works Agency (UNRWA) were actually displaced during the Arab war against Israel in 1948 and how many are descendants. It is indeed useful to know Hilal’s views on the matter, because as a former legal adviser to the Palestinian Negotiations Department, she is now often quoted when the subject of Palestinian refugees comes up. Hilal begins her piece with a somewhat lengthy attempt to discredit the Israeli leader mentioned in her title: Deputy Foreign Minister Danny Ayalon is described as a “Knesset member representing Yisrael Beitenieu [sic], an ultra-nationalist party” and Hilal claims misleadingly that Yisrael Beitenu “advocates the transfer of Palestinian citizens of Israel as part of a political settlement.” Presumably, this is meant as a reference to the so-called Lieberman Plan that envisages a land swap including populated areas – an idea that was first formulated in the mid-1990s by a left-wing researcher who, like many Israelis back then, mistakenly believed that all the rhetoric about how strongly Israel’s Arabs identified with their Palestinian brethren meant that they would be eager to become citizens of a Palestinian state. Hilal then takes aim at Ayalon’s You Tube clip about the plight of Palestinian refugees, noting that it was removed from a French website for supposedly “violating guidelines against racist postings” – though, as Hilal’s own link to a post on the Point of no return blog shows, this is again a somewhat misleading claim, because the French website failed to explain what was “potentially defamatory” or “potentially racist” about the clip. What she is trying to say here remains a riddle, since she cannot possibly be trying to claim that the Jewish refugees from Arab countries had “the option of return” to the ancient communities they fled due to officially sanctioned efforts to drive them out. Of course, this is exactly the point of Ayalon’s criticism: UNRWA isn’t there to find solutions for the Palestinian refugees; instead, the agency’s work allows the Arab states – whose war against Israel created the refugees – to dodge their responsibilities and maintain them as refugees for generations. If this is the case, what is wrong with calling on the “Arab Nation” to integrate the Palestinian refugees who have been living in their midst for generations? 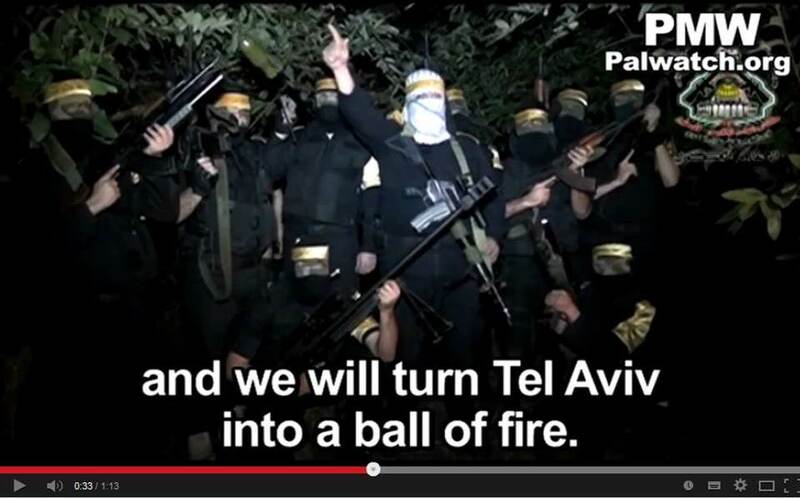 For UNRWA supporters like Leila Hilal, these are apparently “extremist” views. Sounds good – pity that it is kept a secret. 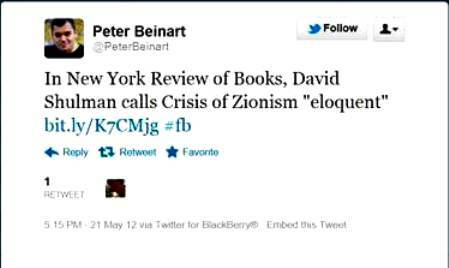 Peter Beinart, author of the widely discussed – but apparently less widely read – book “The Crisis of Zionism,” can’t be held responsible for what his admirers write in their reviews. However, if an author tweets a review and highlights its complimentary character, I think it’s fair to conclude that he welcomes this review. So here you have it, from a professor of humanistic studies, no less: Those Jews – at least most of those Israeli Jews – are paranoid idiots who just love to imagine a world full of terrible threats that allows them to fantasize about their “daring and heroic ” defense against these threats. Moreover, in their stupidity, those paranoids don’t realize that it is their own policies – specifically the capital O Occupation of the West Bank – that pose the greatest peril for Israel’s continued existence as a Jewish state. To be sure, I largely share the concerns about a one-state scenario that Shulman professes to have. However, it is not entirely clear if Shulman’s enthusiastic activism for Ta’ayush really reflects his commitment to a two-state solution. According to the organization’s own website, “Ta’ayush” is the Arabic word for “living together” and the group was founded in the fall of 2000 – that is to say at the beginning of the so-called Al-Aqsa intifada, about which I could find as little on the group’s website as about Palestinian terrorism and rejectionism in general. Indeed, it seems that Ta’ayush believes that its supposed goal of “constructing a true Arab-Jewish partnership” is best pursued by focusing exclusively on denouncing Israel’s policies in the West Bank, and perhaps unsurprisingly, the group also counts among its supporters an extremely controversial activist like Neve Gordon. The message is clear: Palestinians are wonderful, simple, innocent people whose struggle to eke out a meager living is cruelly sabotaged by a malevolent Israel. Now again: “So why don’t you take on Islam?” I’m having trouble explaining, in halting Arabic, the rationale of my choice. […] One thing we can all agree on: on the Day of Judgment, the settlers will be sent to the fire. The boys laugh again in the relief that certainty brings. Sinners are sinners, and God knows right from wrong. It’s really a pity that the readers of Shulman’s piece in the NYRB will not know that this fierce critic of Israel reacts with amusement – and even seems enchanted – when he meets Muslim village boys who “are into theology” and are absolutely certain that non-Muslims deserve to burn in hell. Outside the Ivory Tower, many understand that millions of Muslim youngsters are brought up with this certainty, and that this has grim implications for minorities in the Muslim world and the well-documented endemic Muslim hostility towards Jews. In stark contrast to Professor Shulman’s baseless assertions about the supposed eagerness of many Israeli Jews to indulge into paranoid fantasies about living in a hostile world, most Israelis dream of the day when Muslim youngsters will be brought up to accept Jews at least as believers “of some sort” who don’t deserve eternal hellfire. I think I’ve made a startling discovery: The eminent political philosopher and public intellectual Michael Walzer is a Revisionist like Jabotinsky – at least when it comes to his views about the rights of a people to have a state of their own. “It is first of all the emotion-laden belief of someone who grew up during World War Two that the Jews need a state, and that this need is so critical and so urgent that it overrides whatever injustices statehood has brought. We still have to oppose the injustices with all the resources we can muster, but we can’t give up the State. 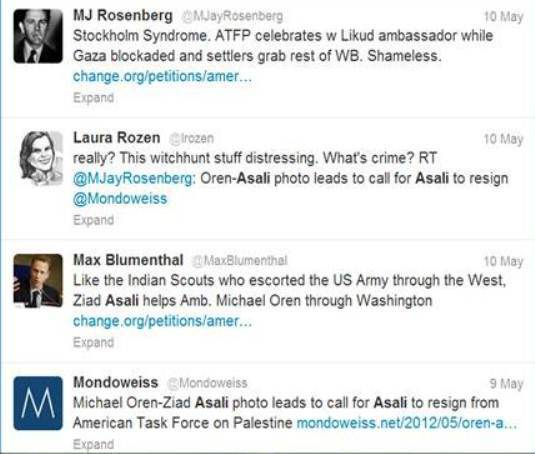 So I participate vicariously in Israeli politics by supporting my social-democratic and peacenik friends. I want the state to be as good as it can be, but above all I want it to be. “To Jabotinsky, a Jewish home in Palestine was justified by events past and present. The Romans had expelled the Jews from their homeland two millennia prior, condemning them to an eternity of wandering and depending on the sufferance of other peoples. Virtually every inhabitable corner of the globe was populated by someone, he wrote, and the Jews had historical, spiritual, and emotional ties to one land alone. That the Jews needed a state should hardly be controversial given the long history of antisemitism in Europe and the Christian world. Similarly, Jews who lived in the Muslim world usually had to accept the second-class status of dhimmitude, and there are plenty of examples that document arbitrary persecution and anti-Jewish violence throughout the centuries. Eventually, it was the Arab League that provided yet more proof that the Jews did indeed need a state of their own when the organization proceeded in early 1948 to draft laws that, by singling out Jews for discriminatory measures, were reminiscent of the infamous anti-Jewish Nuremberg laws of the Nazis. By contrast, most Palestinians had, and continue to have, markedly different ideas about why they would like to have a state. The Arabs rejected the UN partition plan in 1947 because for them, a state alongside a Jewish state in Palestine was not worth having – in other words, for them, territorial demands and notions of basically feudalistic ties to land took precedence over all other considerations. “But statehood as such is a relatively recent addition to Palestinian aspirations. The main Palestinian impetus after the disaster of 1948 was that of ‘return’; it was more about reversing the loss of Arab land and patrimony, than the fulfilment of classical post-colonial self-determination, via statehood. Driven into national concussion by the catastrophic forced displacement of 1948 and up until the mid-1960s, the sense of a separate ‘Palestinian’ national identity all but disappeared. This ‘lost consciousness’ was only reversed by the emergence of Fatah under Yasser Arafat in the Arab diaspora in the late 1950s. It was only after the 1967 debacle that a new Palestinian national identity began to take shape. At its core was the notion of the armed struggle as a galvanising force. Armed struggle, according to Fatah, restored Palestinian dignity and gave the Palestinians a say in determining their future. For Khalidi, the idea to prevent Israel from “winning” is apparently still crucial, and when he mentions Palestinian rights, territorial “aspirations” remain a central consideration. Khalidi also suggests that the Palestinians might be best off “by demanding equal civil rights to those of the Jews themselves” – not from the government of a state of their own, but from Israel, which, by granting those rights to millions of Palestinians, would of course cease to exist as a Jewish state. The tasks of a modern state listed by Walzer don’t seem to figure much in Khalidi’s thinking and in the way he views Palestinian aspirations. 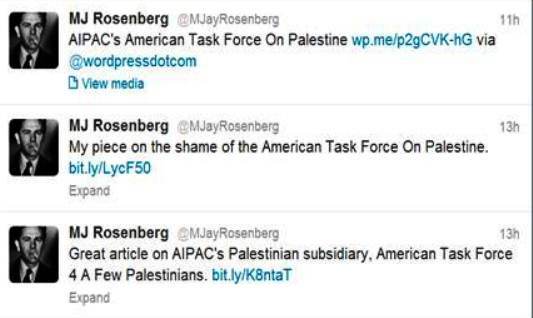 It is also noteworthy that the views and positions expressed by Khalidi are widely shared by most of the so-called pro-Palestinian activists campaigning for the Palestinian “cause” in the West – which means that most of them don’t campaign for a Palestinian state alongside Israel, but focus instead on delegitimizing Israel as a Jewish state and on insisting that the Palestinians should have “equal civil rights to those of the Jews themselves” in a state that would do away with Israel as a Jewish state. Palestinian ambivalence about a state of their own is rarely taken into account when pundits ponder the reasons for the failure of the peace process. Arguably, this is not only because it is always easy and popular to blame Israel, but also because it is fairly awkward to acknowledge that there is little that can be done about this ambivalence: the price of a Palestinian state alongside Israel would indeed mean giving up the “anti-Zionist” struggle that Khalidi rightly describes as so central for Palestinian national identity; at the same time, Palestinians have little reason to believe that they would then get “a decent state acting on their behalf,” because unfortunately, neither the Palestinian experience with Fatah or Hamas nor the experience in other Arab states encourages such hopes. In the wake of the death of Benzion Netanyahu a week ago, several excellent articles provided a welcome antidote to the ideological caricatures that have all too often passed as sensible writing about the political background of the elder Netanyahu and his son, Israel’s current prime minister. “As eager as Jabotinsky was to establish Jewish sovereignty, he was just as eager to make peace with the Arabs once they recognized the inevitability of the Jewish state. “All Zionists agreed that the Jewish character had been distorted by exile; the question was what aspects of that personality needed to be changed. Labor advocated a total overhaul: a secular socialist Jew, freed of piety and economic marginality, a farmer and a worker. Revisionism, though, had only one demand on the new Jew: Become a soldier. Jabotinsky didn’t care whether Jews were Orthodox or atheist, workers or businessmen—so long as they knew how to defend themselves. A key component to self-defense is the ability to perceive threat. And with the rise of Nazism, Revisionism’s insistence on Jewish power became a war against Jewish complacency and self-delusion. In speeches across Eastern Europe, Jabotinsky urged young Jews to learn to shoot and prepare to get out. Es Brent a fire, he warned, a fire is burning. Destroy the exile before the exile destroys you. Jabotinsky’s opponents mocked him as a fear-monger. It is arguably first and foremost the Israeli peace camp’s wishful thinking that has caused its downfall in the wake of the failed Camp David negotiations in 2000. While Israel’s left-wing critics at home and abroad like to complain endlessly about a supposed right-wing shift of the Israeli electorate, polls have long shown that there is broad Israeli support for a peace agreement that would create a Palestinian state in accordance with the Clinton parameters. “The left became a hated minority, and it is easy to explain psychologically why. Abraham Maslow, one of the founders of humanistic psychology, once argued that human needs are organized in a pyramid: First we take care of food, shelter and safety; after that we want to belong to a group; then we want to achieve status in this group; and only then we care about self-actualization and strive for lofty ideals. Israelis accuse the left of demanding of them to think of lofty ethical ideals when they feel that the most basic need of safety is not assured.